Duke Libraries’ Digital Collections offer a wealth of primary source material, opening unique windows to cultural moments both long past and quickly closing. In my work as an audio digitization specialist, I take a particular interest in current and historical audio technology and also how it is depicted in other media. 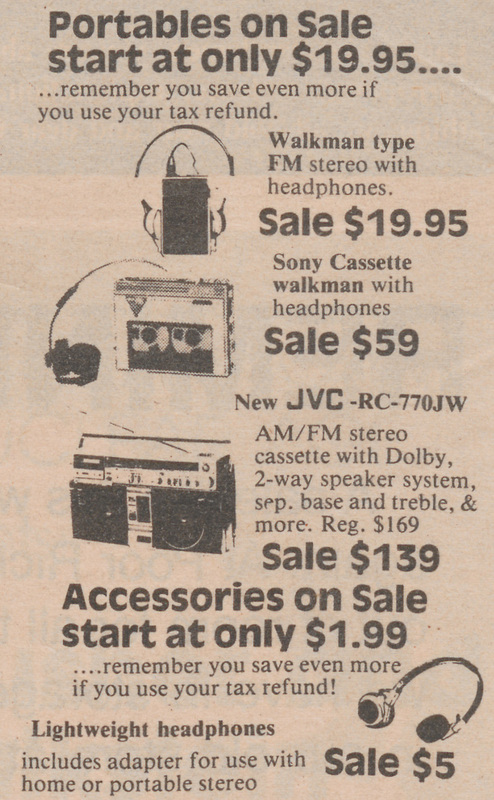 The digitized Duke Chronicle newspaper issues from the 1980’s provide a look at how students of the time were consuming and using ever-smaller audio devices in the early days of portable technology. 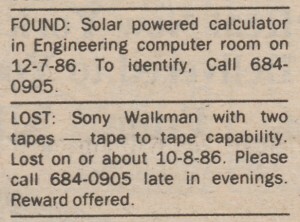 Sony introduced the Walkman in the U.S. in 1980. 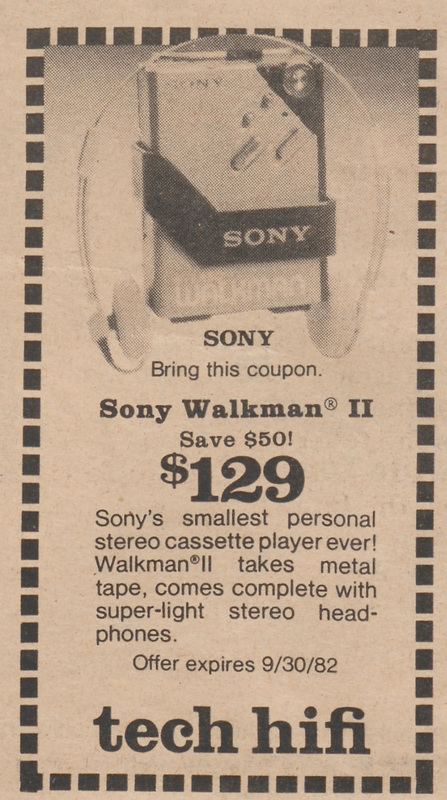 Roughly pocket-sized (actually somewhere around the size of a sandwich or small brick), it allowed the user to take their music on the go, listening to cassette tapes on lightweight headphones while walking, jogging, or travelling. 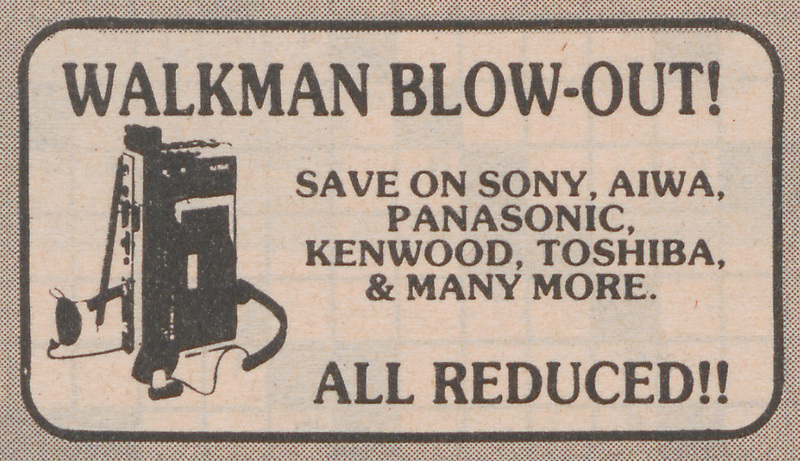 The product was wildly successful and ubiquitous in its time, so much so that “walkman” became a generic term for any portable audio device. 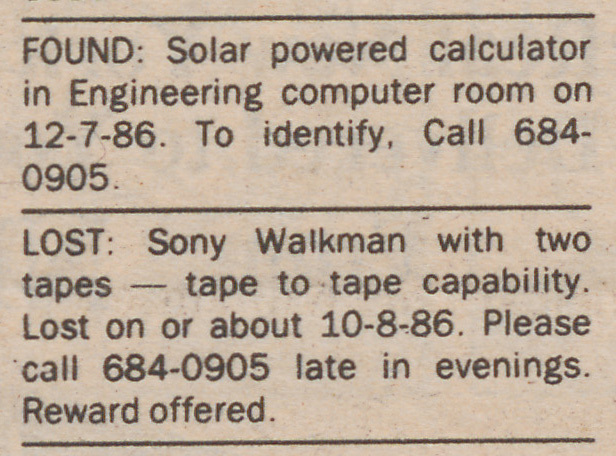 The success of the Walkman was probably bolstered by the jogging/fitness craze that began in the late 1970s. Health-conscious consumers could get in shape while listening to their favorite tunes. 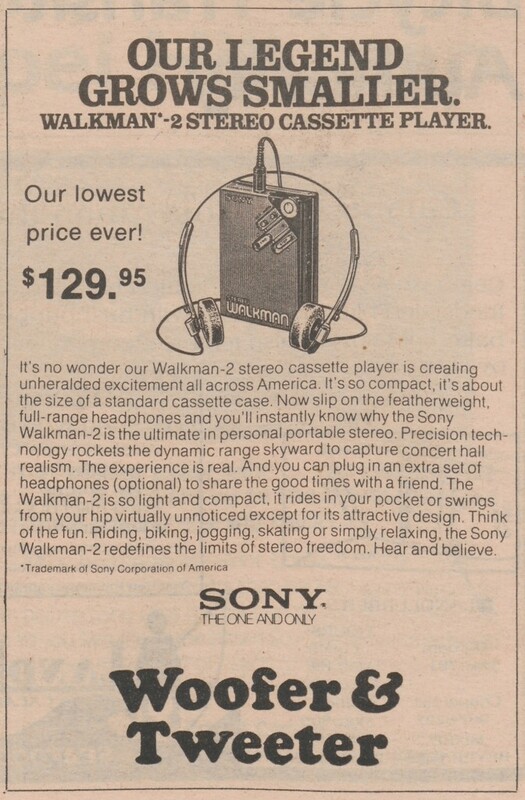 This points to two of the main concepts that Sony highlighted in their marketing of the Walkman: personalization and privatization. 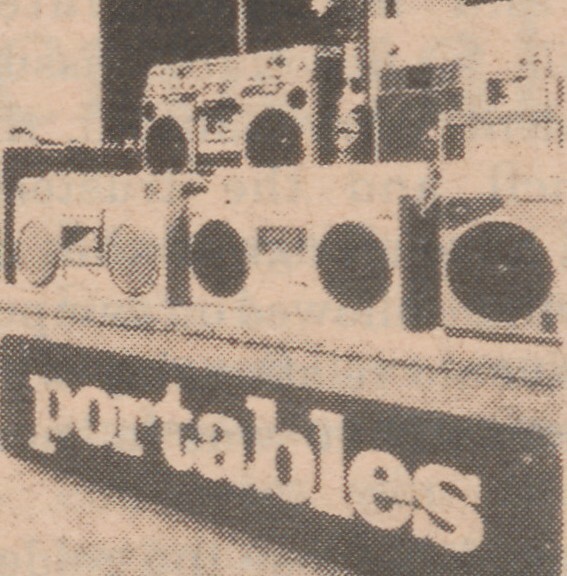 Previously, the only widely available portable audio devices were transistor radios, meaning that the listener was at the mercy of the DJ or station manager’s musical tastes. 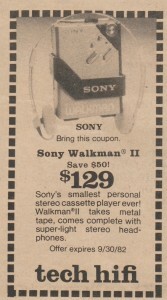 However, the Walkman user could choose from their own collection of commercially available albums, or take it a step further, and make custom mixtapes of their favorite songs. The Walkman also allowed the user to “tune out” surrounding distractions and be immersed in their own private sonic environment. In an increasingly noisy and urbanized world, the listener was able to carve out a small space in the cacophony and confusion. 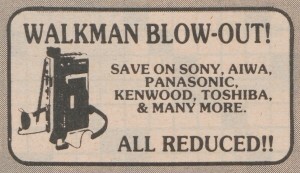 Some models had two headphone jacks so you could even share this space with a friend. One can see that these guiding concepts behind the Walkman and its successful marketing have only continued to proliferate and accelerate in the world today. We now expect unlimited on-demand media on our handheld devices 24 hours a day. 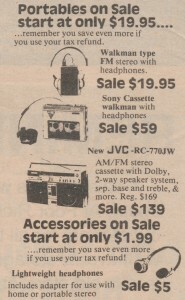 Students of the 1980’s had to make do with a boombox and backpack full of cassette tapes.